Product prices and availability are accurate as of 2019-04-25 03:15:18 UTC and are subject to change. Any price and availability information displayed on http://www.amazon.com/ at the time of purchase will apply to the purchase of this product. Significantly revised and updated to include online and computerized aspects of private practice, this essential manual has given many tens of thousands of clinicians the complete record-keeping and risk-reduction tools that every psychotherapy practice needs. 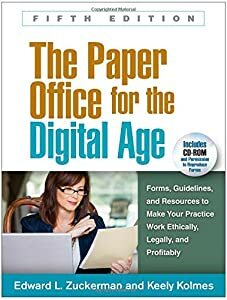 The book provides effective methods for obtaining informed consent, planning treatment and documenting progress, managing HIPAA compliance, maintaining clinical and financial records, communicating with clients and third-party payers, and reducing malpractice risk. Drawing from the professional literature, it features key guidance and easy-to-digest pointers about the ethical, legal, and business aspects of practice. 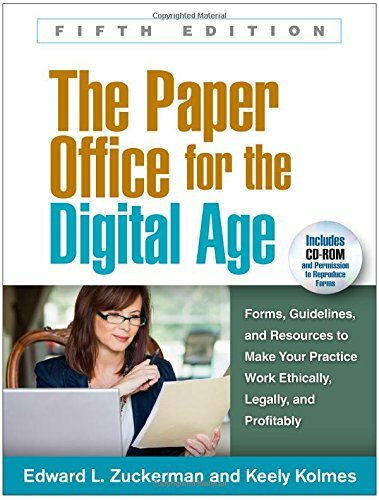 With a large-size format and lay-flat binding for easy photocopying of the 53 reproducible forms and handouts, the book includes a CD-ROM that lets purchasers customize and print the reproducible materials. *Updated throughout to reflect today's greater use of electronic/digital technologies in practice management. *Chapter on insurance and billing, coping with managed care, and Medicare. *Chapter on private practice marketing, including Internet and social media dos and don'ts. *Expanded topics: HIPAA compliance, ICD-10, responding to subpoenas, and using online technologies for billing, communication, and record keeping. *Information about hundreds of websites dealing with all aspects of operating a practice. See also Clinician's Thesaurus, 8th Edition, by Edward L. Zuckerman, the indispensable resource for conducting interviews and writing psychological reports.